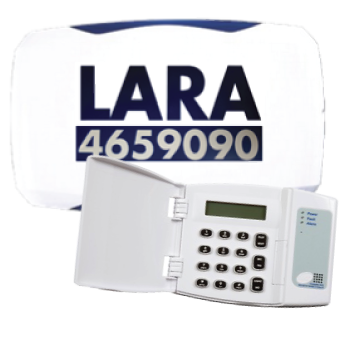 It is the client’s responsibility to arrange for the Intruder Alarm System to be properly maintained (inspected and serviced) and repaired as necessary. An arrangement should be made between the client and a competent organisation for the maintenance and repair of the Intruder Alarm System. 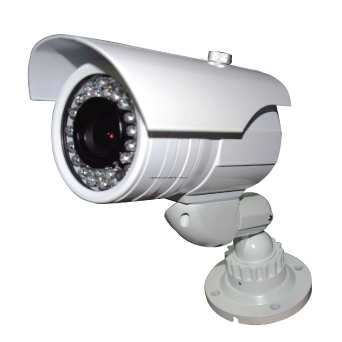 To ensure the continued correct functioning of the intruder system, the system should be periodically maintained (inspected and serviced). A maintenance schedule should be agreed immediately upon the completion of the installation. For a domestic/residential installation a 12 monthly interval would be recommended. In the event of any indication of a malfunction or damage to any part of the Intruder system the user should immediately inform the organisation or individual responsible for the maintenance and repair of the system so that any necessary remedial action may be taken. Any batteries should be replaced at intervals not exceeding the battery manufacturer’s recommendations. Care should be taken that all equipment is properly reinstated after testing. The typical manufacturers specified battery life is 5 years. All intervention during maintenance or repair, including testing, should be recorded in the Log Book. To give greater assurance of reliability, correct servicing is essential. An agreement must be made with a competent contractor or competent in-house resource for regular servicing. This is a statutory regulation under the Fire Services Act 1981. Maintenance must be carried out in accordance to the code of Practice I.S.3217:2013. The agreement should specify the method of liaison to provide access to the premises. The name, telephone number and general contact details of the servicing organisation should be prominently displayed. The responsible person shall satisfy themselves as to the competence of the appointed service provider who should ideally be accredited by an independent third party. Each self-contained luminaire and internally illuminated route sign shall be tested from the central test unit (if installed) which gives test facility for duration of tests between 30 minutes and three hours. All tests are to comply with I.S 3217:2013. This is a statutory regulation under the Fire Services Act 1981. During the test period all luminaries and signs should be examined visually to ensure that they are functioning correctly. Minor faults will be corrected during tests i.e. bulbs and starters etc. The following test programme is required to be adopted and results recorded for the purpose of retaining records (Log Book). 3 Monthly – Functional Test 30 minutes min. 45 minutes max. (Excerpts from IS 3217:2013) NSAI Code of Practice Document. 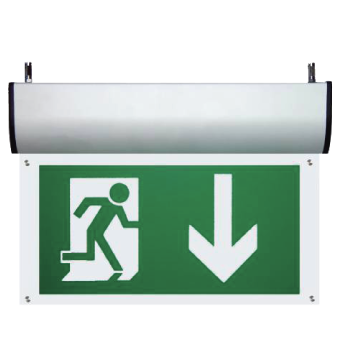 Note: MANAGERIAL RESPONSIBILITIES- It is the responsibility of the management of the premises to ensure that proper maintenance of the emergency lighting system is carried out as described in Clause 14 and 16. The procedure to be adopted in the organization of working responsibility will vary with the size and complexity of the installation which should be taken into account. I.S. 3218:2013, NSAI Code of Practice Document. To give greater assurance of reliability, correct servicing is essential. An agreement must be made with a competent contractor or competent in-house resource for regular servicing. This is a statutory regulation under the Fire Services Act 1981. Maintenance must be carried out in accordance to the code of Practice I.S.3218:2013. The agreement should specify the method of liaison to provide access to the premises. The name, telephone number and general contact details of the servicing organisation should be prominently displayed at the control and indicating equipment. The responsible person shall satisfy themselves as to the competence of the appointed service provider who should ideally be accredited by an independent third party. For all systems, maintenance facilities shall be available and accessible at all times, both during and outside normal working hours, and requests for emergency response should be executed promptly within determined response times. In any case, agreement should be made that maintenance services will be available within 24 hours.The typical expected response times under contract is 3 hours. Servicing must be undertaken following commissioning of the installation whether the premises are occupied or not. Again, the requirement for servicing is a statutory requirement and independent of any obligations of the installer under defects liability. A Certificate of Servicing/Testing shall be prominently displayed adjacent to the main CIE (Control Indicating Equipment) to indicate the service provider, the service planning and confirming completion of the planned service in compliance with the requirements of this code of practice. The service provider shall confirm that the system is in satisfactory working order. NOTE: It is recommended that during the quarterly/ periodic service a percentage of the detection devices be tested such that at the end of the annual period all devices have been tested. This will be deemed to satisfy the requirements that adequate records have been maintained to guarantee that 100% of the devices have been suitably tested. The responsible person should ensure that the following check and test sequence is carried out every year by a competent person. Each detector should be checked for correct operation in accordance with the manufacturer’s recommendations. 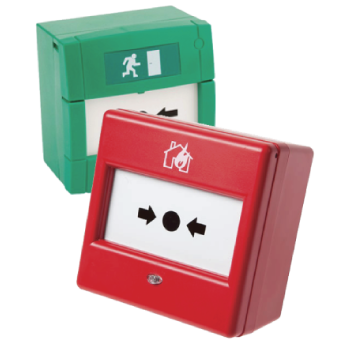 Every manual call point should be checked for correct operation by insertion of a test key or operation of the switch mechanism or other test which confirms the correct action of the switching mechanism and ability of the device to correctly communicate a fire signal to the control and indicating equipment, and within parameters. A visual inspection should be made to confirm that all cable fittings and equipment are secure, undamaged and adequately protected. The required sound levels are achieved. It is strongly recommended that this be carried out in conjunction with the annual re evacuation drill. Any defect shall be recorded in the log book. These shall be reported to the responsible person for appropriate corrective action. Halogenated hydrocarbon type extinguishers (Halon Extinguishers). A service certificate should be issued for record purposes. Where an inspection reveals that interference has occurred or that the extinguisher is impaired in any way then arrangements shall be made immediately for the extinguisher to undergo maintenance. 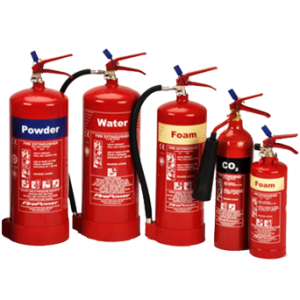 If any extinguisher is found to be damaged, corroded or otherwise defective in the course of an inspection, arrangements shall be made immediately for it to be subjected to maintenance or to be replaced. The person responsible for a building is legally required to maintain all fire-fighting equipment, including dry risers. BS9990:2006 requires a full annual pressure test and visual check for dry risers for buildings above 18 metres and below 60 metres. Buildings over 60 metres or 18 storeys require wet risers. 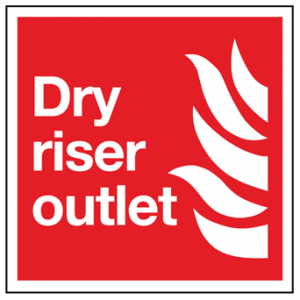 Dry Risers are an invaluable piece of fire-fighting equipment in buildings above 18 metres. They play a critical role in delivering considerable quantities of water in a high rise building. They can however be prone to serious neglect and vandalism so it is important to have them regularly maintained and serviced. 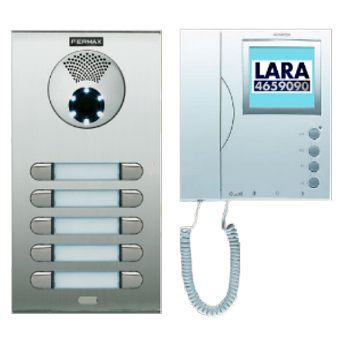 Lara will carry out a full annual pressure test and six monthly visual check to the relevant standards using our own dry riser testing equipment. Dry and wet risers are checked and pressure tested to 150 PSL or 10 bar for a minimum of 15 minutes. All insets and outlets are checked for leaks and any missing or faulty items replaced. Flow testing is also carried out. If any valves have to be replaced a further pressure test will be carried out before certification is issued. The entire system will be visually tested 6 monthly and any missing or damaged items are replaced. Full certification is issued when the systems pass the thorough operational test. Hose reels should be subject to regular inspection to ensure that the system is free from leaks and that nozzles operate correctly. Hose reels must remain easily accessible and unobstructed, at all times. If booster pumps are installed these should also be checked. Once a year each hose reel should be completely run out and subjected to operational water pressure to ensure that hose is in good condition and that all joints and couplings are watertight. Note: Fire hose reels will be fully unwound and discharged. They flow rate will be measured by discharging into a drum. Fittings will be inspected and the hose reel fully rewound. A flow test should be carried out to ensure that a discharge of at least 30 litres per minute is achieved. In the case of a fault the water will be isolated and the customer notified. Any faults/leaks will have to be repaired by the client’s plumber. 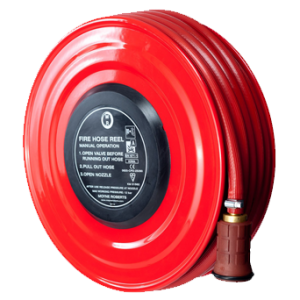 The annual test should be carried out by a competent person, in accordance with the standard and recorded on a label fixed to each hose reel or alternatively in the same register as tests for portable fire extinguishers, with each hose reel being identified by number. Check switches, break glass units etc.